Bended road near Breb, Maramures, Romania, summer 2004. 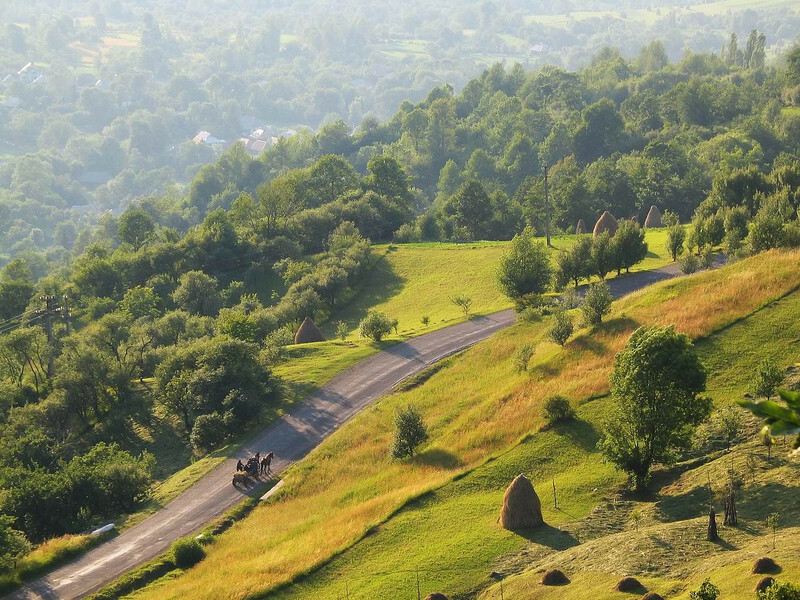 One of the most interesting regions in Romania, Maramures is a land of true Romanians (more local, Dacians, than Romans), living from agriculture and wood crafting: houses, churches, bridges, art-objects etc. The habits and customs, folklore, songs, sayings, remained virtually unchanged for centuries.